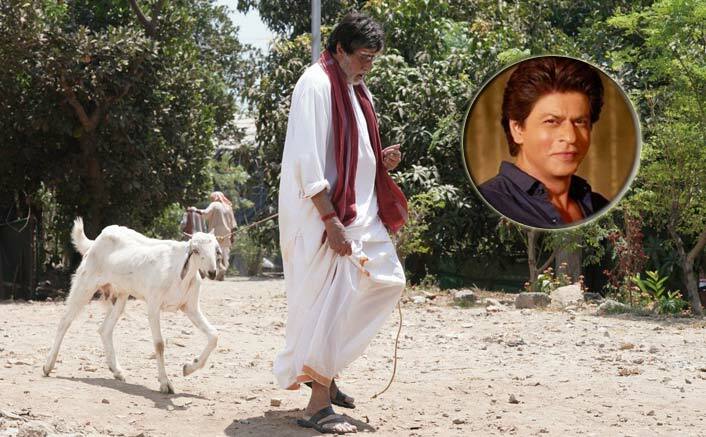 A day after indulging with Shah Rukh Khan in a banter on Twitter regarding their film Badla, megastar Amitabh Bachchan posted a photograph in which he is seen walking a goat. Amitabh, who is currently shooting for T. Tamilvanan’s bilingual film Tera Yaar Hoon Main, has been sharing pictures from the film’s set. But it is his recent photograph with a white goat which has gone viral. Is Amitabh Bachchan’s Twitter Post With Goat In Relation To Recent Shah Rukh Khan Banter? The timing of the post seemed interesting since it came just a day after Shah Rukh urged Big B to throw a party for the success of “Badla“. Amitabh was upset that not enough had been said on the “silent success” of Badla, directed by Sujoy Ghosh and produced by Shah Rukh. “Badla“, shot largely in Glasgow, Scotland, is a mystery thriller which also features Taapsee Pannu, Amrita Singh, Tony Luke, Manav Kaul and Tanveer Ghani.